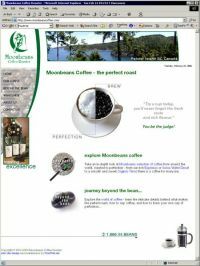 PawPrint has been enjoying the fantastic coffee from Moonbeans for years (through many a new web site launch) and we are pleased to be able to share their coffee with the world through this new site. Plus, it´s the first time we have launched a web site while actively enjoying the site´s product! After traveling to Pender Island, PawPrint captured location stills, and product shots to help compile this informative web site. Check back soon as Moonbeans is working on compiling a glossary of coffee terms using the PawPrint XDe Glossary module - a must for the budding coffee connoisseur. 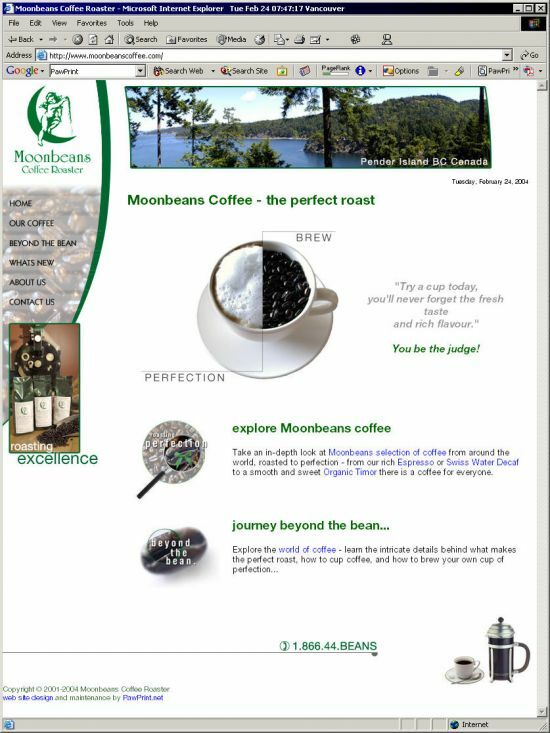 Join PawPrint at the Vancouver International Bed and Breakfast Conference in Vancouver March 2-4 and pick up a sample of Moonbeans "Innkeeper´s Blend"